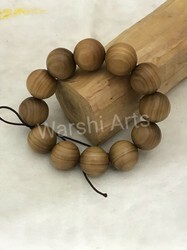 100% Export Oriented Unit of a wide range of products which include sandal wood bracelet, sandalwood bangle, sandalwood necklace string, sandalwood stringmate and sandalwood beads. We have emerged as an eminent enterprise, actively engaged in providing our clients with an exclusive range of Sandal Wood Bangles. Elegantly crafted in spectrum of designs, patterns, sizes and shapes, these bangles are embellished by our creative artisans using pure diamond. Further, our offered bangles are also delivered from our end after testing them on various quality parameters. In addition to this, clients can avail our offered bangles at industry leading prices. 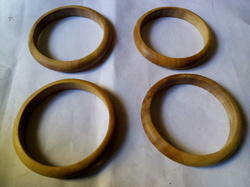 We have gained huge popularity among the clients by offering them an exclusive range of Sandalwood Bangle. 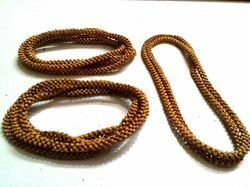 Our creative artists design these bracelets as per the latest fashion trends. In line with industry set standard, we provide our offered bangle as per the ever evolving needs of our prestigious clients. The offered bangle is the perfect example of contemporary artwork and extensively worn by the gents to adorn their wrist. We provide this bangle to our clients at affordable price. We bring forth an extensive collection of Sandalwood Stringmate that is extremely popular in market for its intricate design and alluring patterns. Our offered range is crafted using quality approved diamond and high-end methodology under the direction of our qualified professionals. 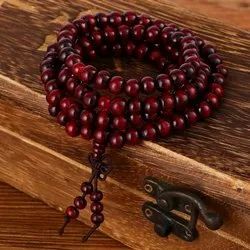 Designed as per the current market trends, this jewelry is embellished with finest grade sandalwood that make them suitable to be worn in parties and various other occasions.